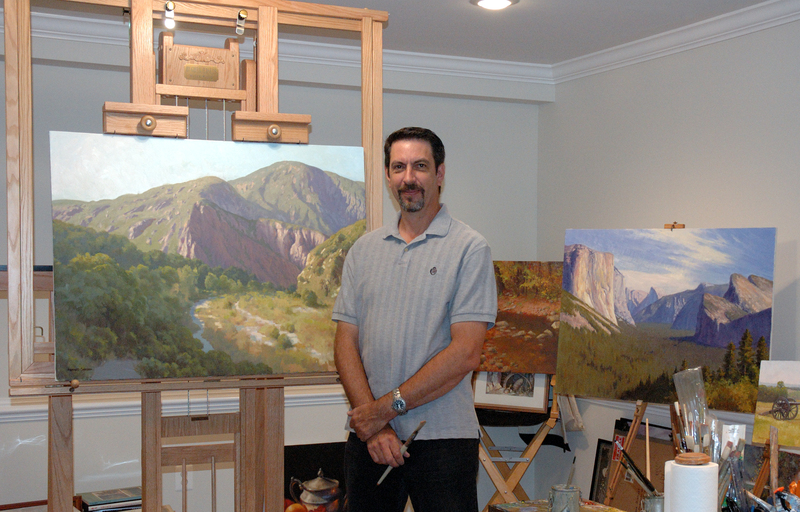 Armand is a full time oil painter represented by galleries across the United States. Armand has spent over 2 decades as a successful production artist in the computer games and entertainment industry, creating conceptual designs and background art. Virgin Entertainment, Zynga, Nickelodeon, Microsoft and Paramount Pictures. Armand is also recognized in the fine art field of Imaginative Realism. Armand has had numerous One-Man Exhibitions and his work is found in notable corporate and private collections around the world. He has been juried into the prestigious Laguna Plein Air Competition, Plein Air Easton, California Art Club Gold Medal Exhibitions, International Museum of Contemporary Masters “Salon International”, Napa Valley Museum, The Haggin Museum and many other national exhibitions. Armand has been honored with top awards at many of these shows. contemporary painters in the country.